I came upon an inspiring moment while on a walk through Paris with two best friends recently. 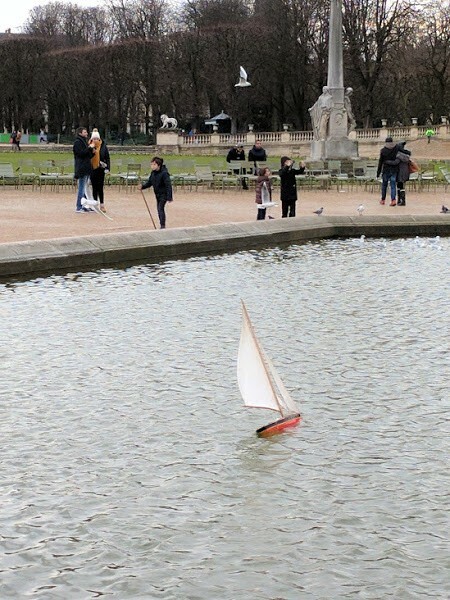 There’s a tradition at the Grand Basin in Luxembourg Gardens where children play with sailboats in the giant fountain. It’s been the subject of countless backdrops in films, and is an iconic Parisian park spot. The thought of this was astounding in comparison to the culture of play that I’ve seen in more recent times. So many questions from my assumed way to play — play where kids (or parents) have control over the start, stop, and every action of the game. And that’s when I saw the boy and his boat as a lesson on how better to approach our lives. You’ve probably heard expats and frequent visitors to Europe say that things move in a more relaxed fashion than back home. You’ll never be pushed out of a table at a restaurant in Berlin or Paris. And you learn to take your time and enjoy the experience, and the moment of the people that you’re with. I know that I’ve learned from this approach to leisure, and do my best to embrace it more frequently even back at home, when I catch myself grabbing a coffee to go and rushing to an appointment. The boy is completely content pushing his boat and watching the wind sweep it to the center of the fountain, while the plumes of water at the center send it back to him. Eventually. In between, he’s wrestling with his friends. Balancing on the edge of the fountain, and teasing the park birds. Things that boys of a certain age do when given the time. From time to time, the boat makes its way to the far edge of the fountain, and a passerby kindly pushes it on its way. Lastly, the boy plays with his boat for the sake of playing. No winning, no points calculated, no goals achieved. He plays for the moment, until it’s time to go home. The boy is learning patience. The boy is learning to relent control to nature. The boy is learning about community. The boy is learning the value of play. And the boy is passively learning about the mechanics of sailing. 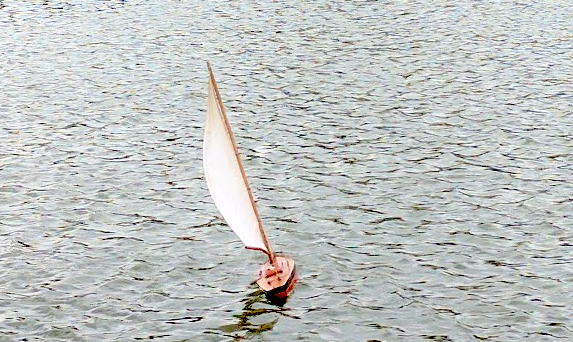 What could we learn from the boy and his boat? Take more time to enjoy our moments. If an event is taking longer than you expected, ride with the experience. Accept that when we can relinquish control over moments in time, that the outcomes may change in ways that surprise us. And allow our neighbors, our friends and the people around us to participate in our experience. And that’s how a little boy and his boat helped me appreciate every moment in every experience in my journey in a brand new way.